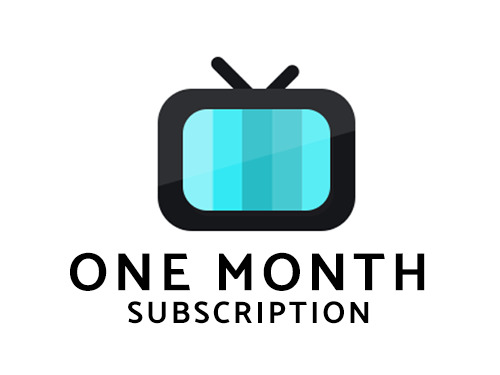 This is a one month IPTV service access to the top provider of 2018. This gives you access to all the programming including sports, news, entertainment, religous and top international package. Try it out first with a free day trial by checking out, credit card free. We believe in our IPTV service so much that we encourage you to try it before buying so you can be satisfied with your purchase and know what you are getting before you buy. What do you get with best IPTV service? First of all you get reliability which you can't put a price on when it comes to IPTV. Considering the content is being delivered over the internet, there are certain settings and other factors that play while a customers enjoys TV. We have years of experience in this field and know all the right tricks to provide our customers with outstanding service. No Credit checks - We don't pull any type of credit check, we will take any new customer. No contracts - This is a month to month service. We allow our customers to pay as they go so they don't feel like they have to use our service because they are locked in. This service is to be used on the same IP network unless a customer is on a mobile 4g network. We don't allow sharing of accounts and take it serious. Breaking this rule can result in ending of service. Channel List is subject to change. We don't guarantee any programming to stay the same, but we try our best to improve and add on to the existing channel list.